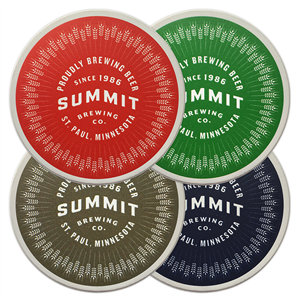 Decorate your favorite drinkin’ perch with this set of four absorbable/adorable ceramic coasters, each featuring barley burst artwork. The set contains four different colors, including kelly green, bright navy, vibrant orange, and chocolate brown. Stand is included.